BUJUMBURA – At least 70 people have died in Burundi since clashes erupted between security forces and activists protesting against President Pierre Nkurunziza’s bid for a third term, a leading Burundian human rights group said. 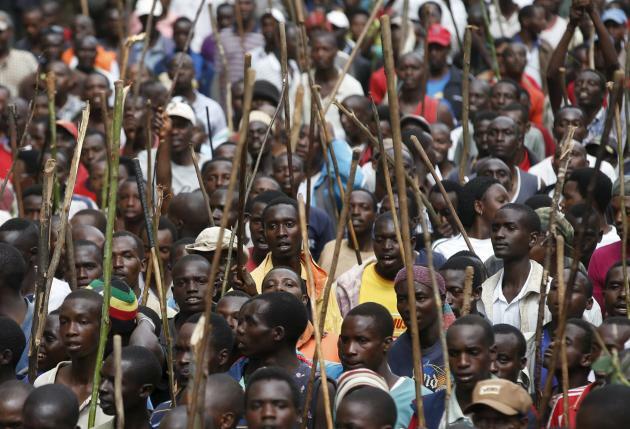 The opposition took to the streets in late April saying Nkurunziza’s plan violated two-term limits set out in the constitution and a peace deal that ended an ethnically charged civil war in 2005. The violence has stoked tensions in a region with a history of ethnic conflict, particularly in neighboring Rwanda, hit by genocide in 1994. Rwanda and Burundi share the same ethnic mix of a Hutu majority and Tutsi minority. Pierre Claver Mbonimpa, a veteran activists who heads the APRODH rights groups, told Reuters that 70 people had been killed and about 500 injured. Hundreds of people had been detained by police, he added. The police had no immediate comment, but have previously put the death toll much lower than estimates from rights groups. Rallies subsided in early June, but diplomats say tensions run high and could flare during voting or if Nkurunziza wins again. The president has said he will still run, citing a constitutional court ruling saying that his first term, when he was picked by parliament rather than voted in a popular vote, did not count. A parliamentary election is scheduled for June 29 followed by the presidential poll on July 15. Both have been delayed several weeks in the wake of the unrest. The Red Cross of Burundi says it knows of 24 people who died during the unrest. It only counts those people its workers confirmed dead or who died when being treated. Emergency workers have said the total number is probably much higher.